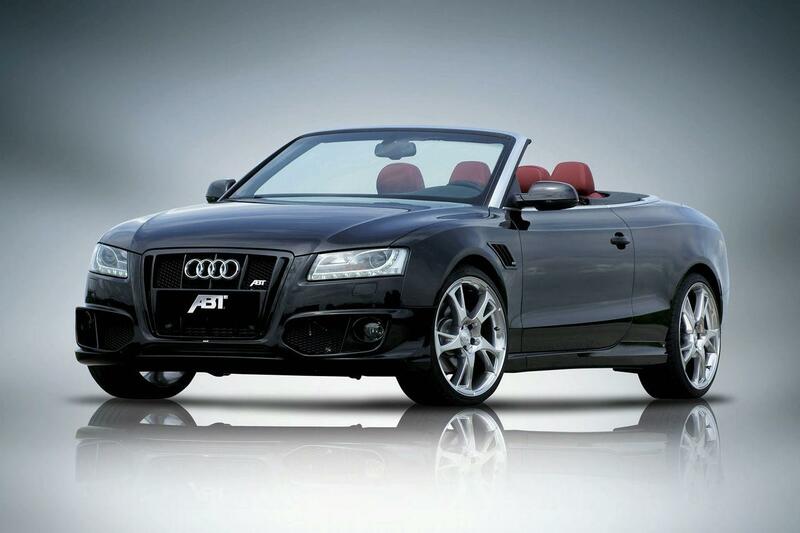 ABT, A5 convertible is redrawn and with more power. 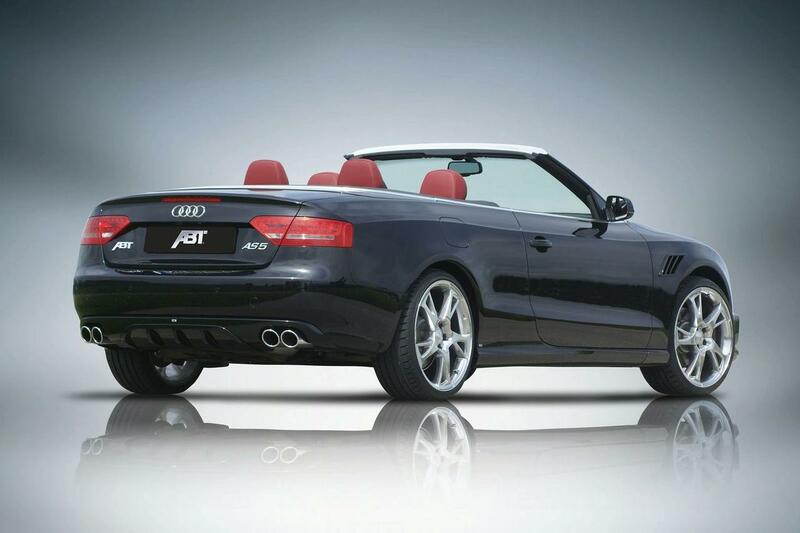 And do not forget to mention the new name – AS5 convertible. As summer is preparing to “strike”, ABT has taken as a convertible. 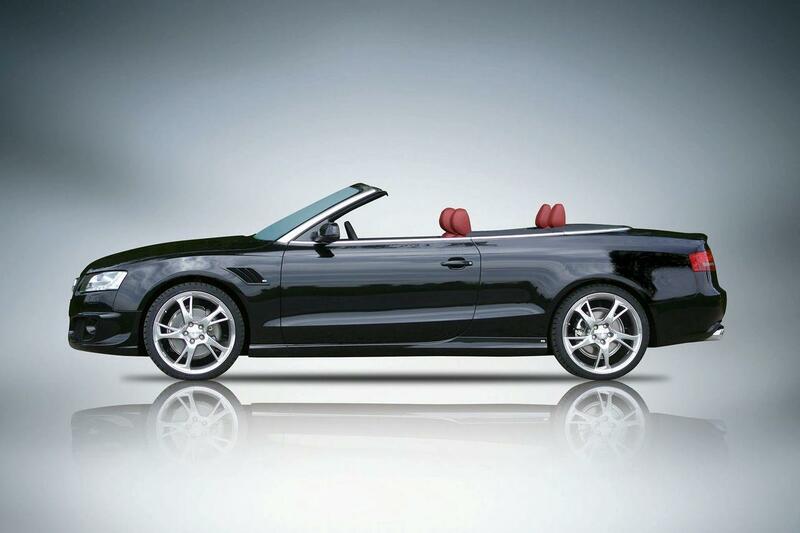 A5 convertible, to be exact. For outside the car, German tuner prepared a new body kit consists of a new front grille, new front spoiler, air wings, the thresholds side rear speaker and the “hosts” and the evacuation of four drums exhaust. It adds new rims, 19 or 20 inches, and the package is complete. Moreover, the list of changes continues under the hood and cab. Thus, the 2.0 TFSI engine now develops 275 HP (from 180 or 211 HP), while benefiting of 2.7 TDI 230 HP (from 190 HP) propeller. At 3.0 TDI engine, the maximum grow to 282 HP (from 240 HP). Those who want more than that, can opt for the kit ABT POWER S. In this case, the 3.0-V6 TDI is developing 310 horsepower and 610 Nm. Finally, theyâ€™ve installed a new braking system to hold in the new values.